The Commando XX3B Marine pump shotgun is built with a lightweight design that provides strength and simplicity of operation. The barrel, fore-end and bolt are easily removed as a unit to facilitate cleaning. You will immediately notice the smoothness of function and form whether you're firing light 2-3/4" shells or heavy 3" shells. This XX3B-M features an 18.5" tactical home defense barrel with a fixed cylinder bore and a rifle style front sight for rapid target acquisition. 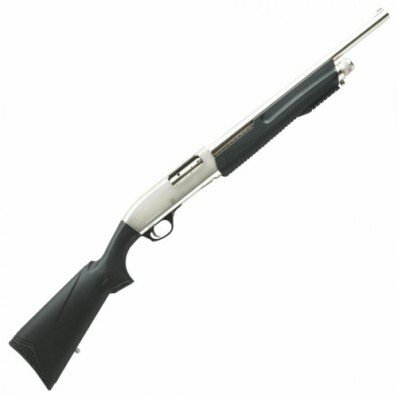 Manufactured using only the finest materials available, this shotgun will provide years of trouble free operation enjoyment. With a Dickinson Marine XX3B-M Commando you will experience a deluxe quality shotgun at a price you can afford!